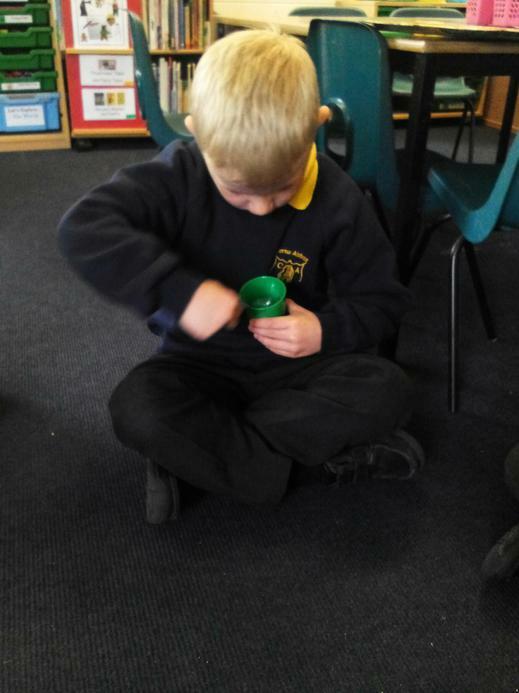 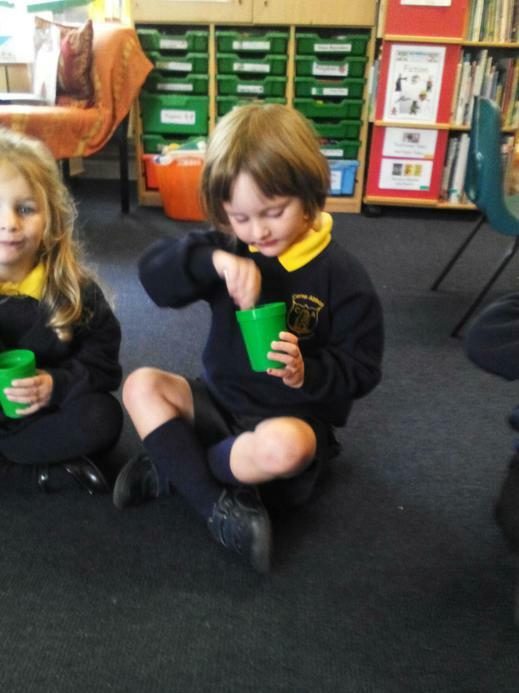 We have started learning some new sounds in phonics this week. 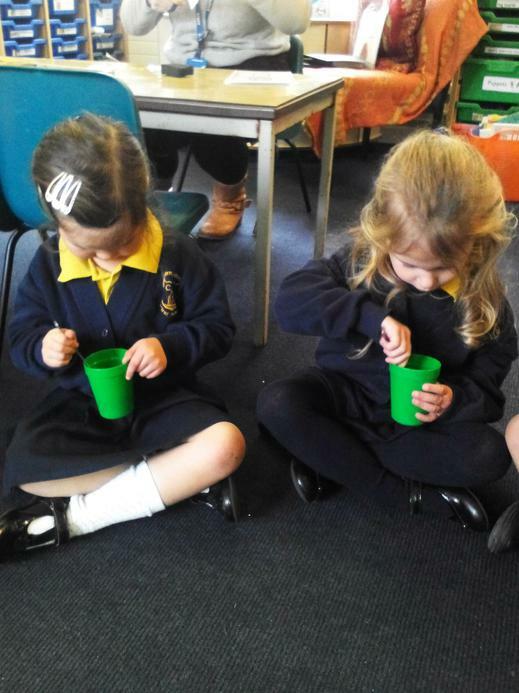 We started off with the j sound yesterday, we all made some jelly together at the end of our lesson! 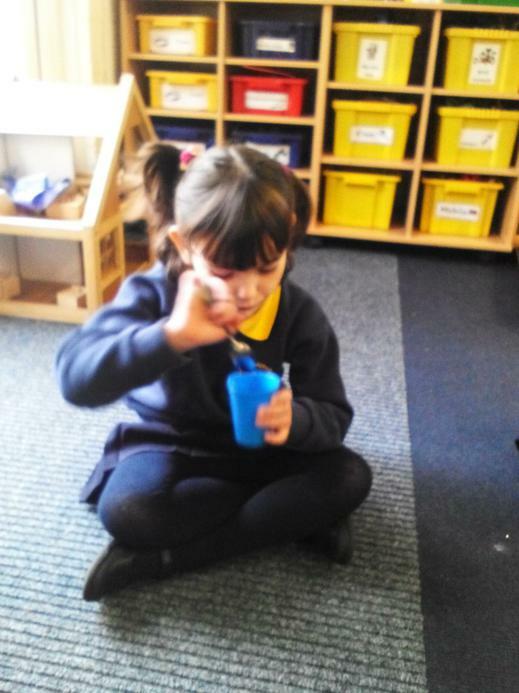 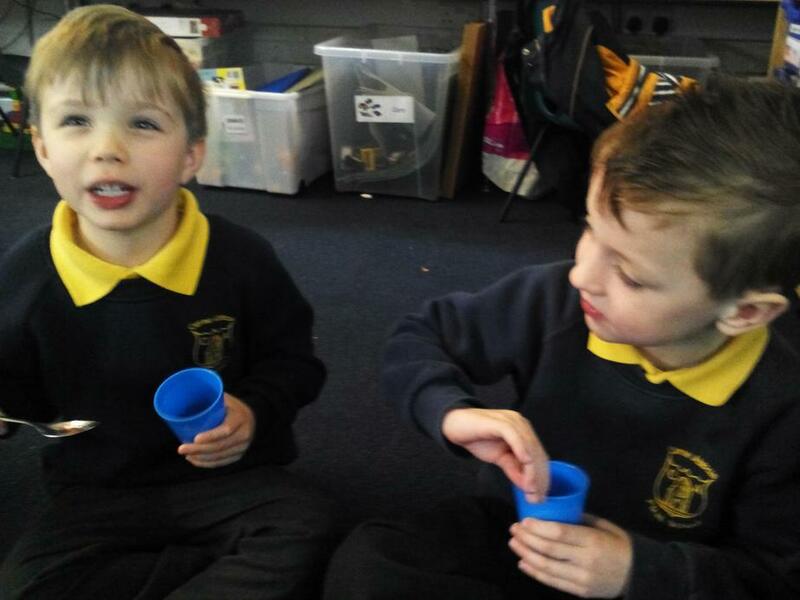 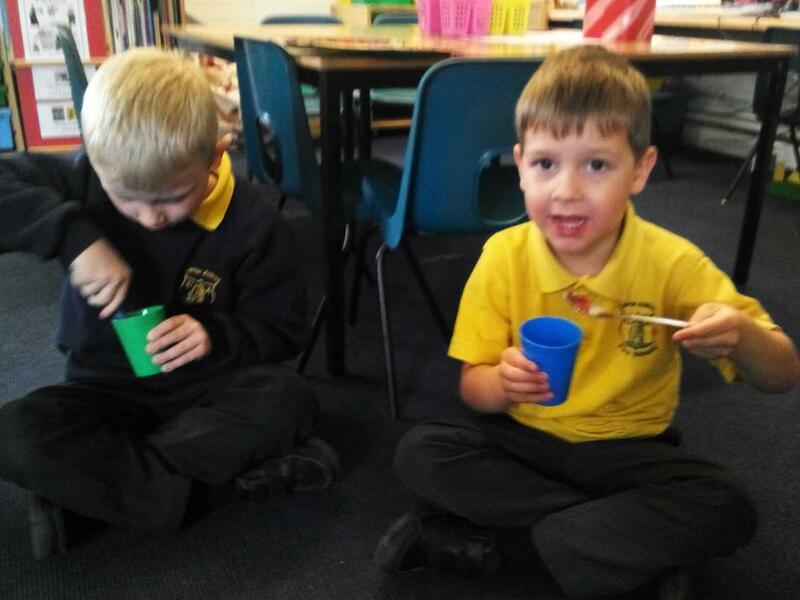 The children in Giant Class loved making the jelly and were very considerate and communicative when making it, they predicted what would happen to the jelly cubes when they were mixed with hot water. 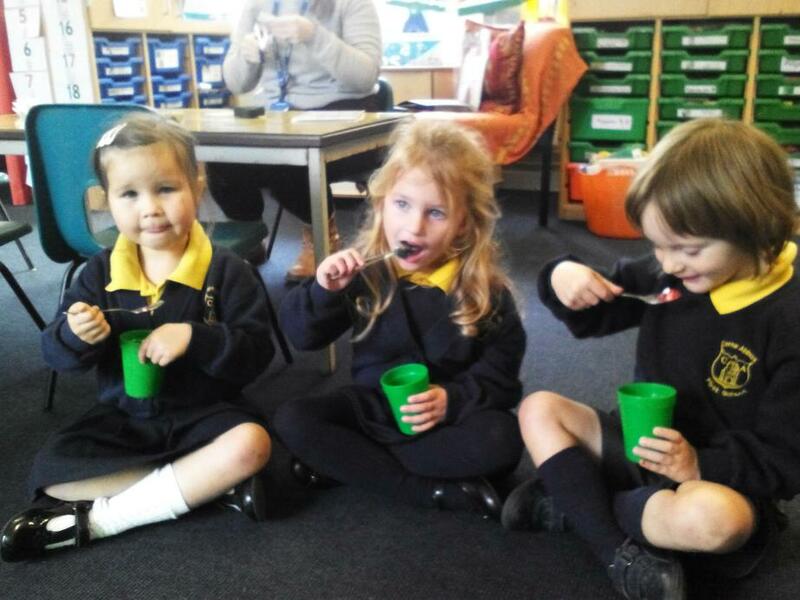 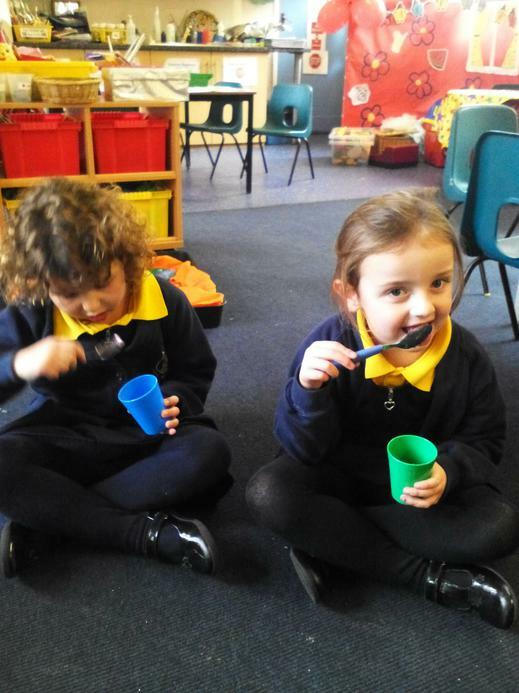 We then talked about how the jelly sets, by putting it in the fridge and today we enjoyed eating it! 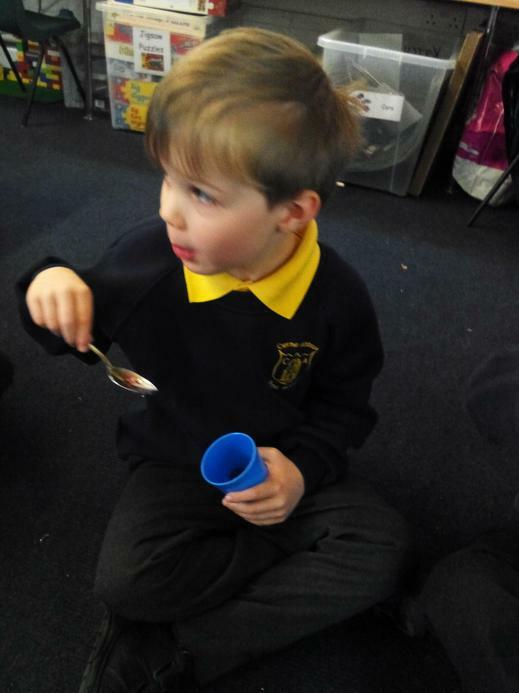 Giant Class all told me a word to describe the jelly and most of the class thought it was very tasty! 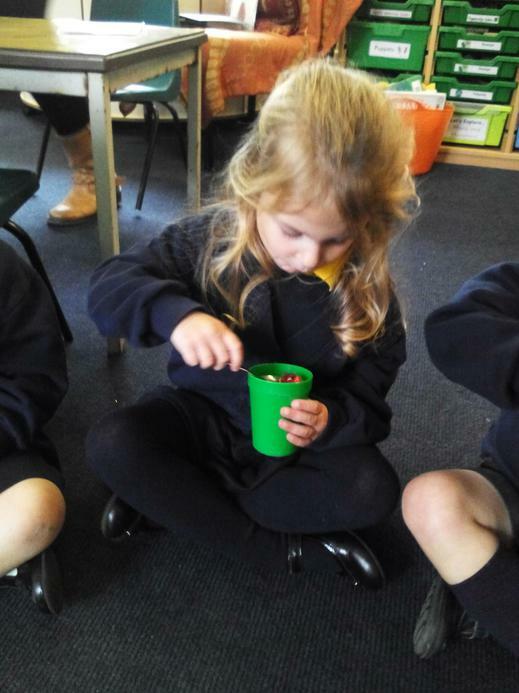 In choosing time, Giant Class could go and play with some of the jelly to see how it felt in a messy tray! 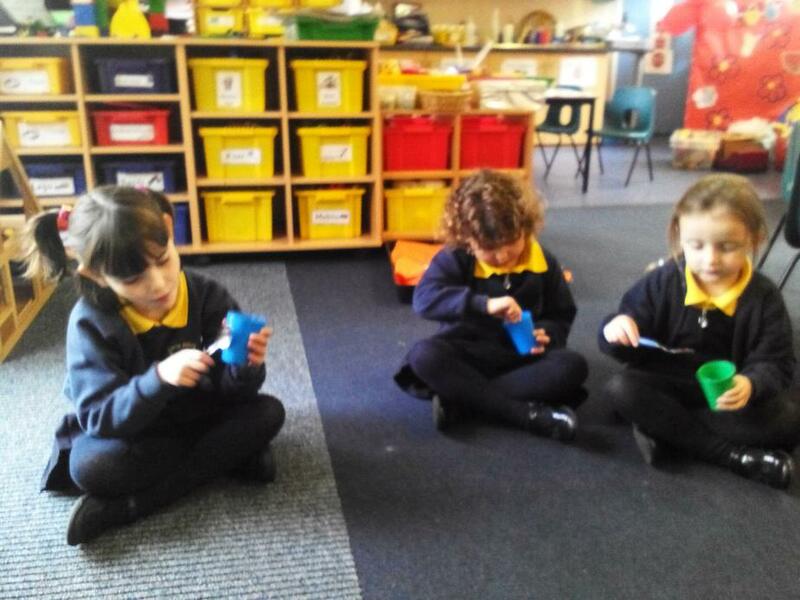 Some children then wrote some words to describe how the jelly felt. 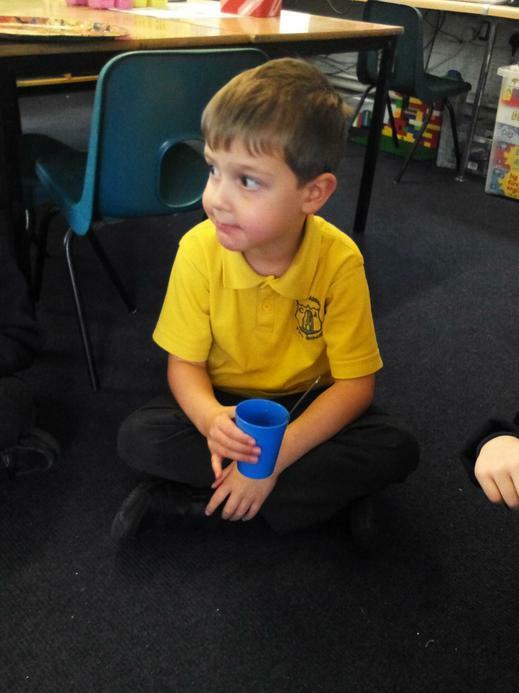 We have also had lots of fun making firework pictures on the computers and in our creative area this week and have been having fun learning teen numbers in Maths.